When it comes to the crafting world, is there any word better than free? I didn't think so! 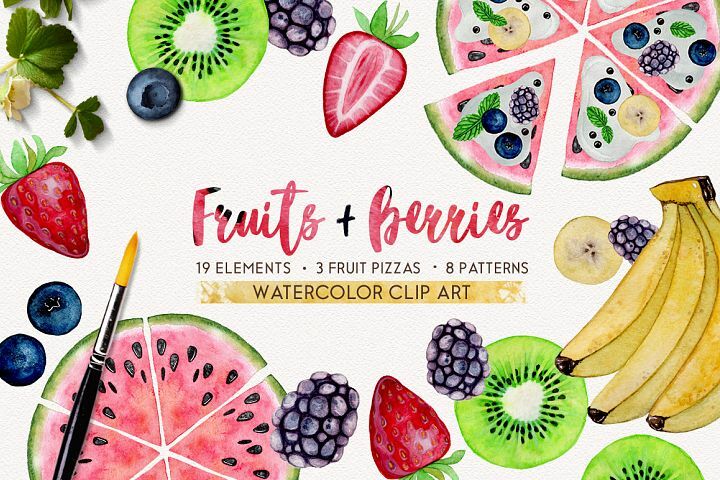 Today I'm rounding up 10 FREE and versatile illustration designs that are great for adding to any type of project like cards, art prints, sublimation on mugs, pattern making for custom textiles, printable heat transfer, the list goes on! 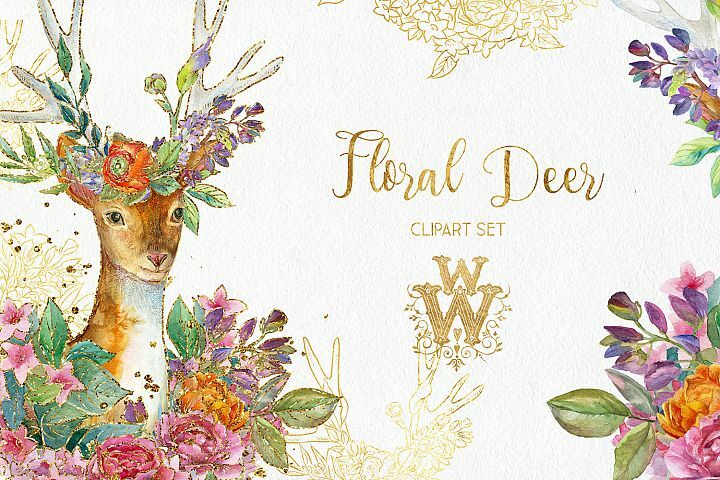 This is beautiful watercolor high res clipart with golden deer includes 4 png elements. You will receive png files that have transparent backgrounds that allow you to place these clip art pieces behind any color background. This clip art is for personal and small commercial use it will help to create designs for your scrapbooking projects, party invitations, wedding decorations, kids decor, wedding invitations, greeting cards, planners, paper products, websites, home decorations, windows decorations and much more. Let's enjoy the colors of summer! You can create your own fruit pizza here! It's perfect for wrapping paper, greeting cards, packaging, textiles, holiday decorations, scrapbooking design and so many others of your ideas. 30 high-quality separate PNG files. A collection of cute girls themed clipart's, saved as AI files, individual png files, and a bonus 12x12 inches jpeg paper. 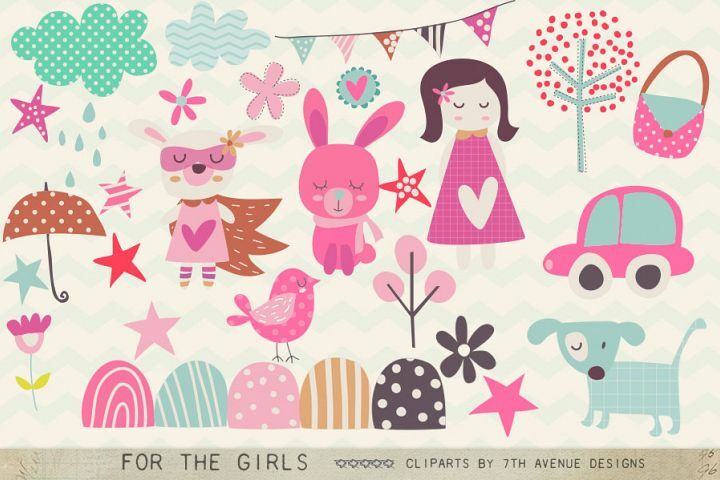 This is perfect for scrapbooking, kids wear, kid's room artwork, and of course...stickers! 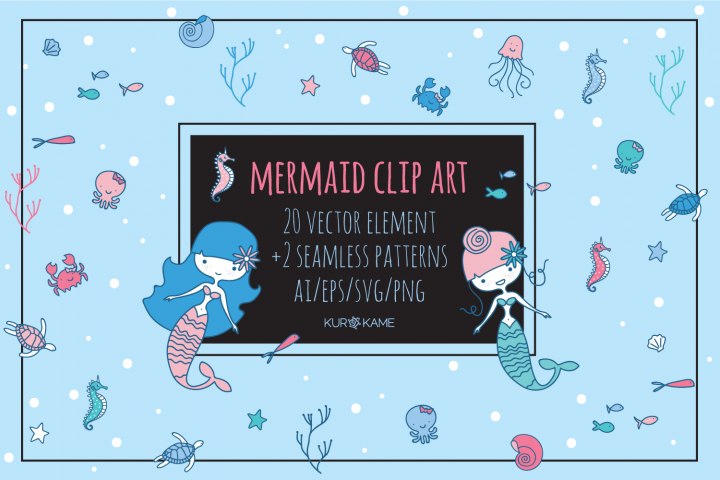 Mermaid Clip Art contents 20 vector elements +2 seamless patterns. How cute would this be to use for a little girl's birthday party? You can make invites, decor, cake toppers, and goody bags. If you want to go all out you can even make custom wrapping paper. 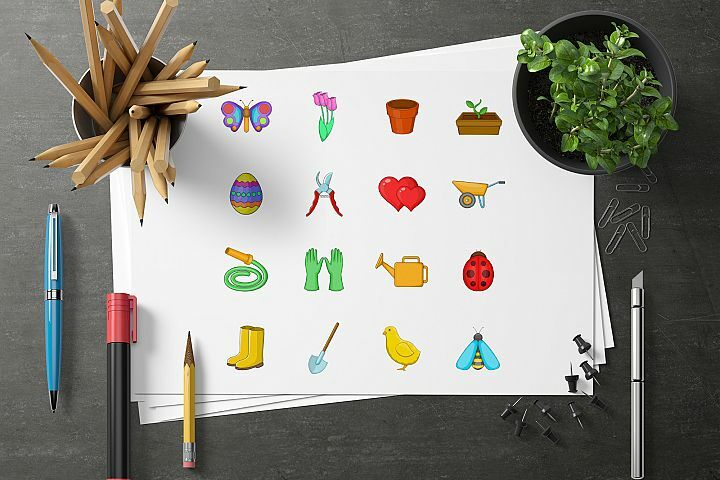 This spring icon set has 16 different cartoon drawings and 2 bonus patterns. Great for scrapbooking, planners, stickers, packaging, and anything else you can imagine up! 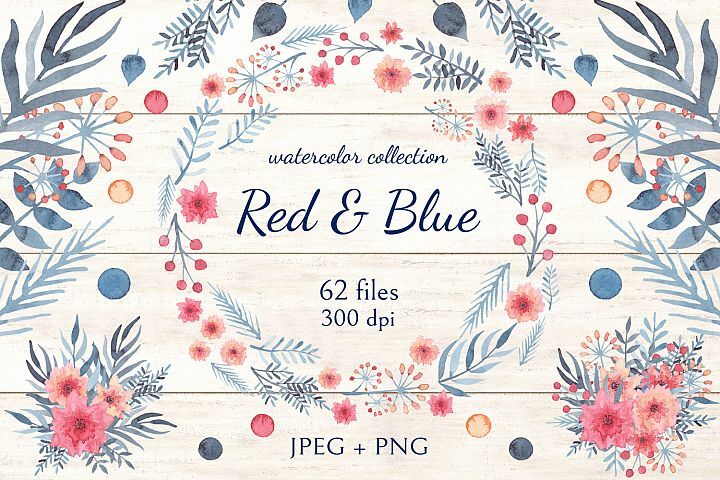 This is a floral collection in pastel blue and red colors that includes high-res watercolor flowers, leaves, berries, wreaths, seamless patterns, card templates, borders, and bouquets. 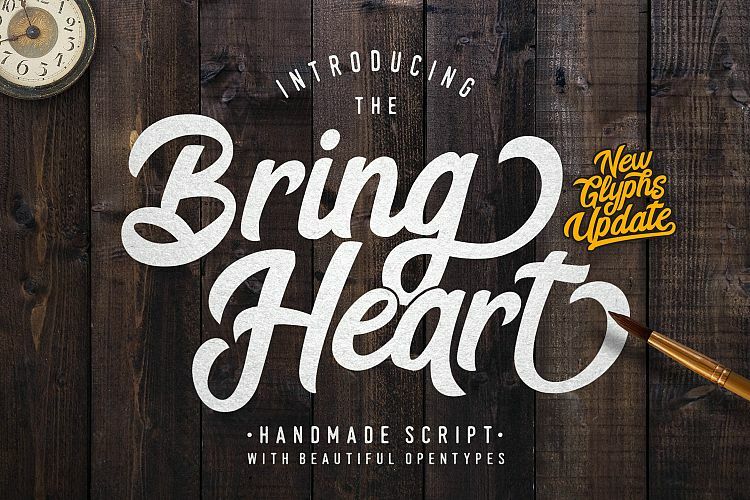 Ideal for use on wedding invitations, cards, logos, packaging design and more. 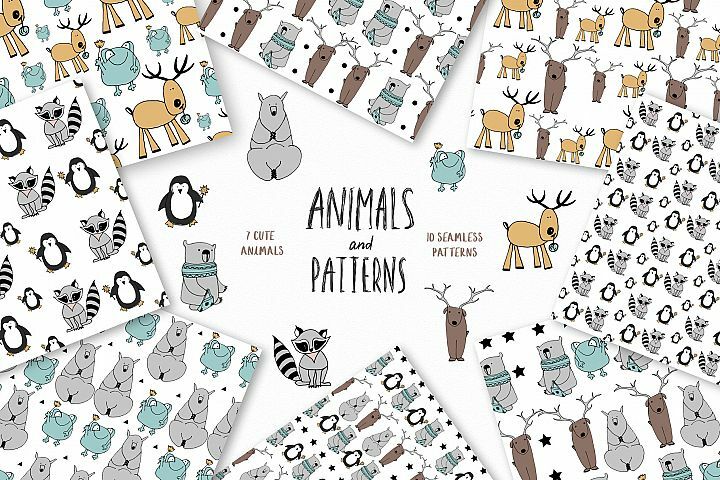 Animals & patterns that are unisex for nursery designs and other projects for baby. This would make adorable custom crib sheets, bodysuits, scrapbooking, stickers, wrapping paper, home decor. The list goes on and on! 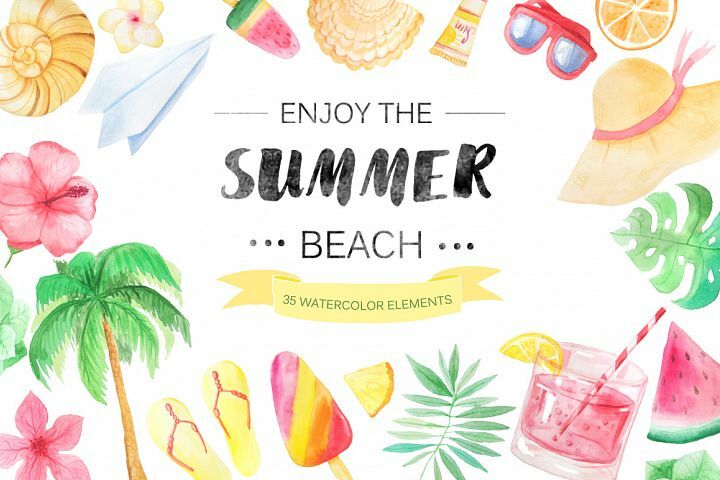 Hit the Beach with this fantastic watercolor set, packed with 35 watercolor elements perfect for your design work. These are great for planner stickers, fabric patterns, cute greeting cards, scrapbooking, wrapping paper, etc. 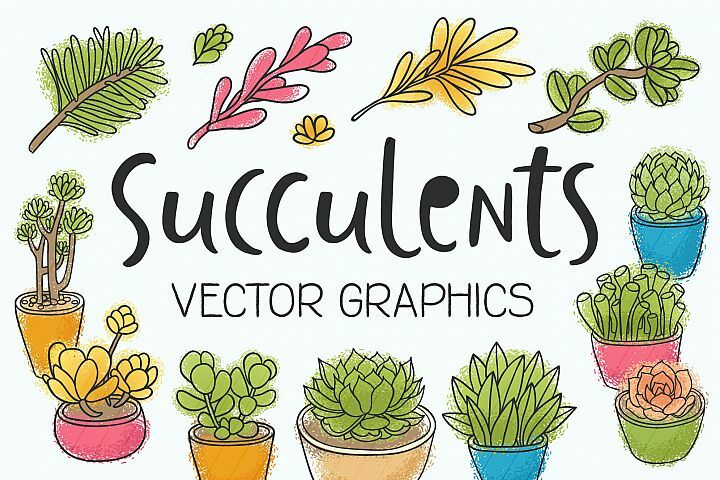 You will get 14 vector illustrations of succulents and leaves. In color and black and white versions. The black and white drawings would make fun coloring pages! Of course, these fun designs will look great as home decor prints, planner stickers, scrapbook designs, fabric patterns, and so much more. 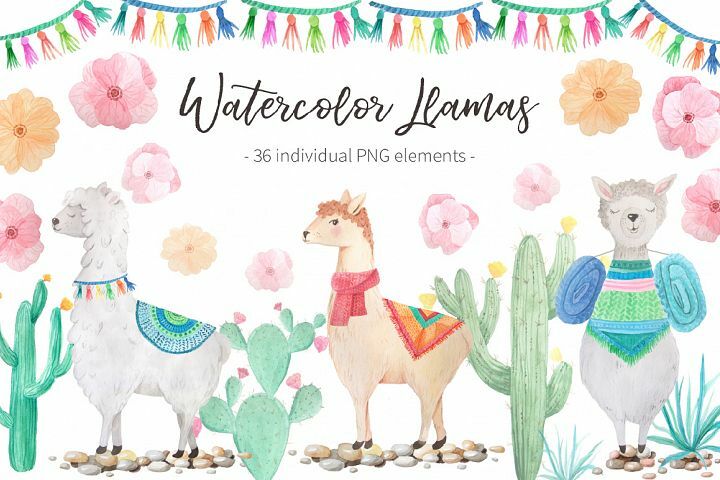 These fun llama drawings are so adorable! Great for a Cinco de Mayo celebration or just fun decor for your home. Make yourself a fun pattern for scrapbook paper, greeting cards, textiles, or wrapping paper too. Is your mind swimming with all sorts of fun ideas? I hope so! What type of projects are you planning to make? Here's a pin so you can save these goodies for later!